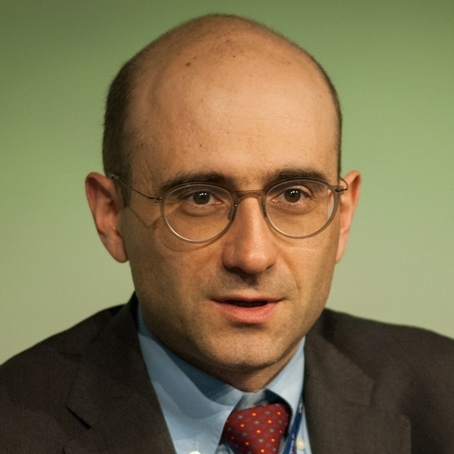 Alberto Di Minin is an Associate Professor of Management at the Scuola Superiore Sant’Anna in Pisa, where he teaches innovation management and innovation policy. He’s also Research Fellow with the Berkeley Roundtable on the International Economy (BRIE), University of California – Berkeley and Social Innovation Fellow with the Meridian International Center of Washington, DC. He has been Counsellor of the Minister for Education, University and Research, Maria Chiara Carrozza, and he’s currently the Italian Representative on the SMEs & Access to Finance Programme Committee, for Horizon 2020, with the European Commission. He’s the Co-Director of the Executive Doctorate in Business Administration Program at the Sant’Anna, the Director of the Confucius Institute of Pisa, and the Director of the Galilei Institute in Chongqing University. His most recent works has been published in California Management Review, Journal of International Business Studies, R & D Management Journal and Research Policy. Member of the editorial board of “Economia e Politica Industriale” and “Creativity and Innovation Management” he ran a column for “Affari & Finanza” (La Repubblica) and today he writes for “Nòva24 – Il Sole 24 Ore”. He managed executive education programs and research for companies such as ABB, Ansaldo Energia, Bassilichi, ENI, Finmeccanica, SGR Foundation, Knauf, General Electric, Intel, Intesa San Paolo, Loccioni, Lucchini, Telecom Italy. He has worked with the entrepreneurial associations (Confindustria, CNA), the technology transfer centres of the major Italian universities, the European Patent Office, the Ministries of Education, University and Research, Foreign Affairs and Economic Development, the Kauffman Foundation and the U.S. Department of State. He was a Fellow of the IRI Foundation and his doctoral thesis won the Dissertation Award of the Alfred Sloan Foundation (2007). Alberto Di Minin was born in Udine in 1977; he’s a former student of the High School Palo Diacono (Cividale del Friuli), the United World College (Duino) and the Scuola Superiore Sant’Anna. He continued his studies in the United States, where he earned a Masters in Public Policy from the Georgia Institute of Technology and a Ph.D. in City and Regional Planning from the University of California at Berkeley.